"I guess I’m Neutral Good. I mean that. But every person deviates from their alignment from time to time." Heikki Holmås is living proof that geeks have now infiltrated the very fundament of civilization, as he is currently serving as Minister of Development in the Norwegian Government. Holmås started playing back in 1988, starting with Fighting Fantasy and progressing to Red Box D&D. 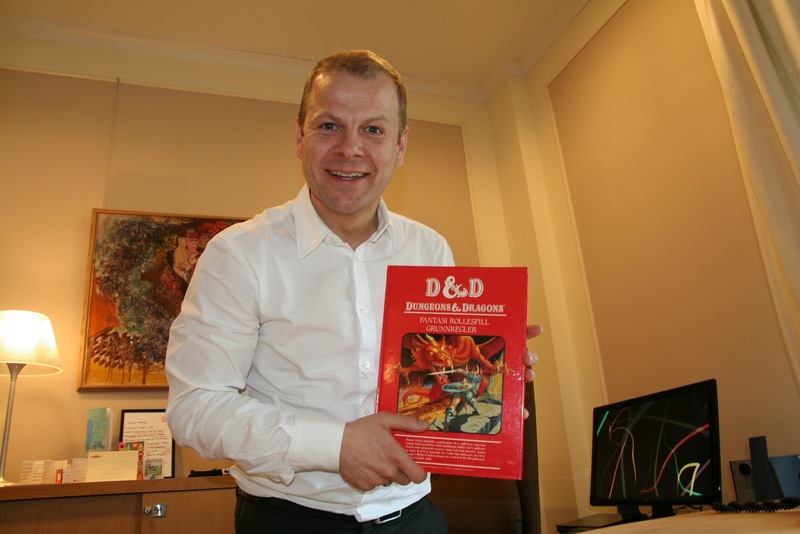 In '89 he became Norwegian Champion of D&D, winning a trip to GenCon. He was a founding member of RegnCon [tr: RainCon], a gaming club/annual con in Bergen, Norway, that's still around today. He also took part in the legendary LARP 1942 -- Noen å stole på [tr: Someone to trust]. The premise of this game was to recreate the life in a small coastal community under German occupation, and those who were fortunate enough to be there still talk about it.